Train to get better at hitting PERFECTs even when blinded. Always focus Shogun Zombie first. 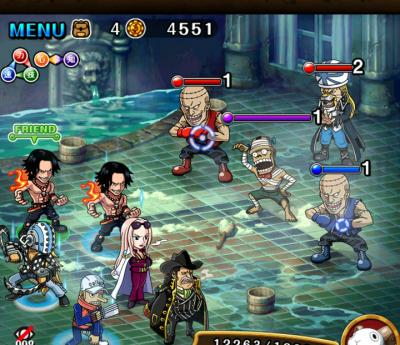 You can bring GP Usopp before he puts up the Debuff Protector. 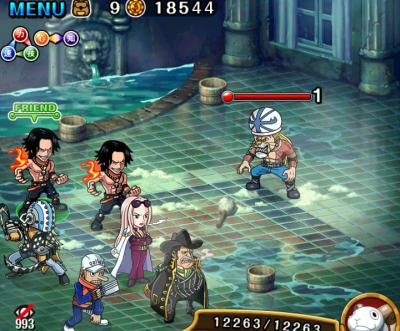 The main reason why this challenge is difficult is the low HP of Absalom. 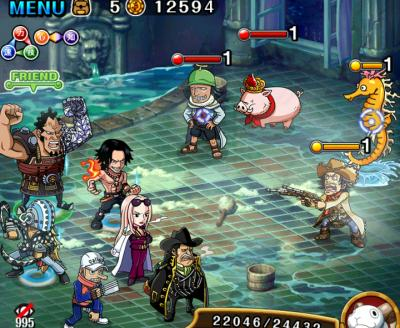 You need 1-2 characters that deal not so much damage but burst on the last 2 or 1 characters. 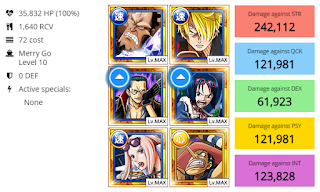 Use Koza and Manticore to get another 1.3x ATK boost additional to Enels 2x special and Doffys orbs. 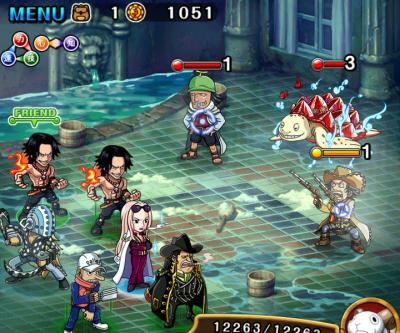 Make sure to not kill absalom with 1 Enel only, but to maximize the damage output. 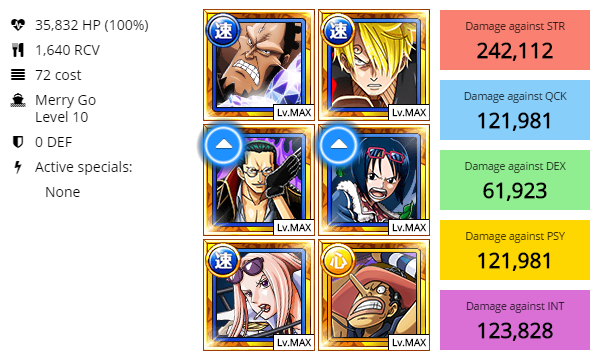 Burn him down to like 20% with one enel and even more damage with the other enel in the same turn. You can also replace Friend with a Thatch friend. 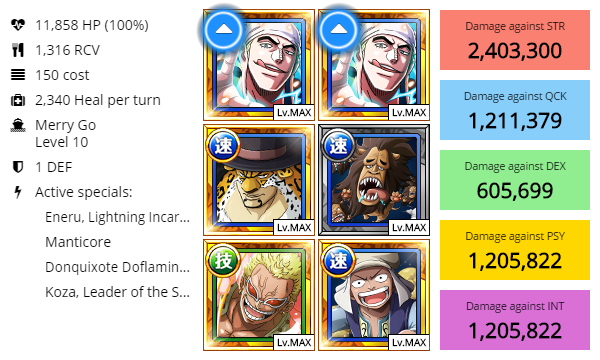 You can replace Doffy with Kaku here.. but still need the low cooldown or you may die from Absaloms hits. 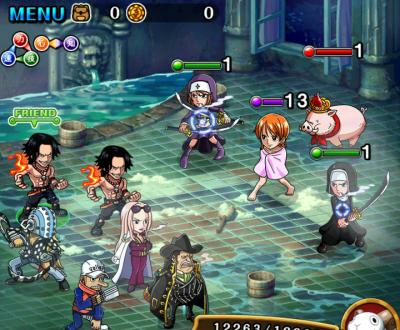 Get rid of the Pirate first. 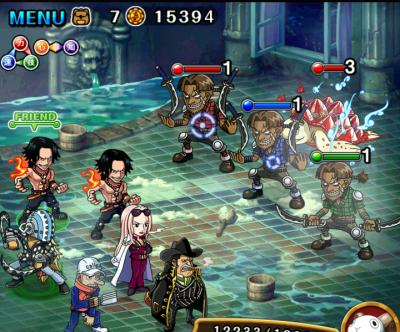 Get the Giant below 20% HP or defeat in same turn. 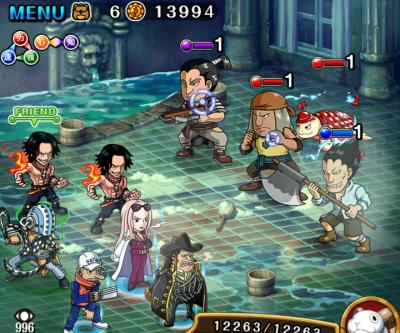 When he is at low HP, he won't attack but buff himself for next turn. 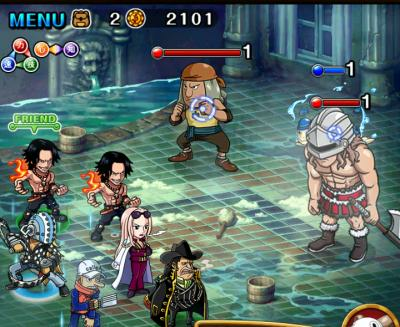 Absolom will vanish after you defeat him and will also blind your combo text for 999 turns making it hard to hit perfects. Try not to get hit by the mobs here. There is less possibility for stalling here. 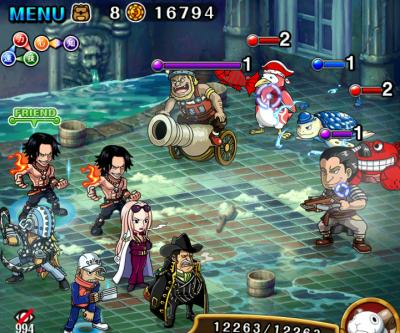 You can get quite Tanky with Jozu and Sanji also gives 1.5x HP. 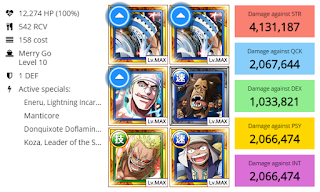 Big issue is just his low 1.5x ATK captain. 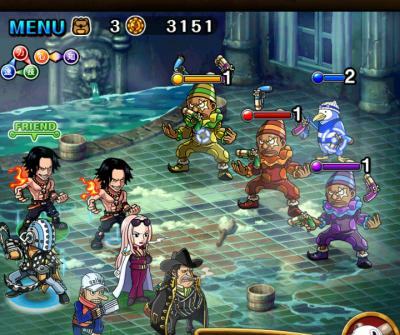 Your crew has to be fairly high leveled otherwise you won't survive Absalom's high damage. 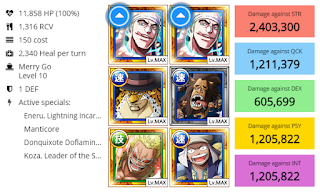 Highly advised to use a Rare Recruit character like Jozu, Ace, Capone Bége. 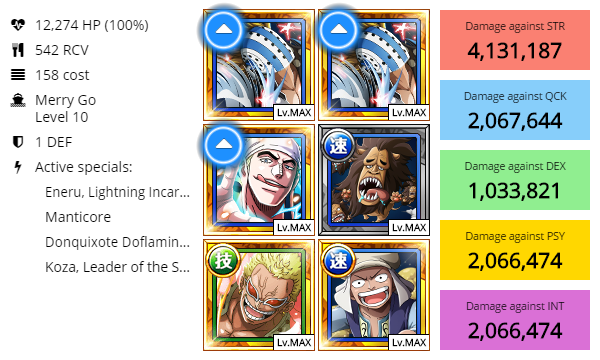 Whitebeard Pirates Batch II Sugofest! !